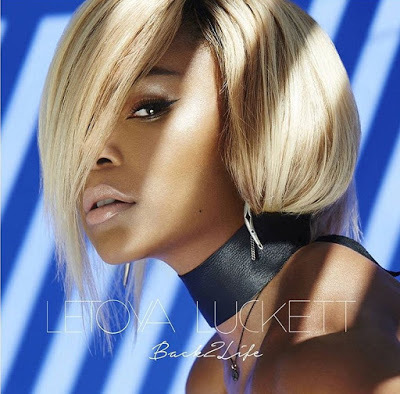 RAW HOLLYWOOD : NEW MUSIC: LETOYA LUCKETT "BACK 2 LIFE"
NEW MUSIC: LETOYA LUCKETT "BACK 2 LIFE"
Earlier in the week we brought you the news that LeToya Luckett would be releasing a new single & even delivered the tracks artwork. In support of the album Until Then... the former Destiny's Child diva serves up the brand new single "Back 2 Life" which is the follow-up to last years "Don't Make Me Wait" featuring ATL's own T.I. LeToya sampled Soul II Soul's hit song "Back To Life" that was released back in 1989. "Back to life... back to reality"
The record is very solid & is surely something that can hold it's own in the r&b realm of music. Even though Luckett has spend most of her time expanding acting resumé, the time away has her ready for round 2. Labels: Destiny's Child, Letoya Luckett, T.I.